Wipaq provides ID Card Slot Punch Machine available in various slot designs. 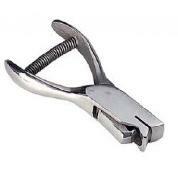 Slot punches are used for creating holes in identification cards to attach cords, neck chains, and lanyards. Get the free quotes for Slot Punch Machine.